You will be spellbound by the writing and captured by the lyrical voice of this Irish tale. A dark and magical experience. 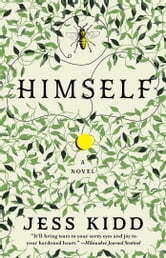 Himself is the first book by Jess Kidd so I wasn't sure what to expect. What I found was a book that is hard to quantify. This is a standalone with no cliffhanger. There is violence and magical influences including a lot of ghosts. The book blurb adequately describes the storyline so I'm not going to repeat all of that info here. The author did a good job of explaining Mahony's background, why he came to the village, and eventually the story of his mother. There is a lot of history and secrets between characters in the storyline that keep you guessing what twists and turns will be revealed next. While overall the storyline was okay, I found it difficult to follow. The chapters kept going back and forth between the 1950s and 1970s. I had a hard time keeping track of all the characters in the village, and which ones were alive and which ones were the ghosts. I don't usually judge an author by just one book, and I won't with Jess Kidd. I just hope the next book is easier for me to follow the storyline. I received a copy of this book from NetGalley and chose to review it for other readers. Book had a slow start. When it picked up speed I had a hard time putting it down. Very enjoyable! What an fabulous story told to perfection. Lyrical dialogue and brilliant narration. 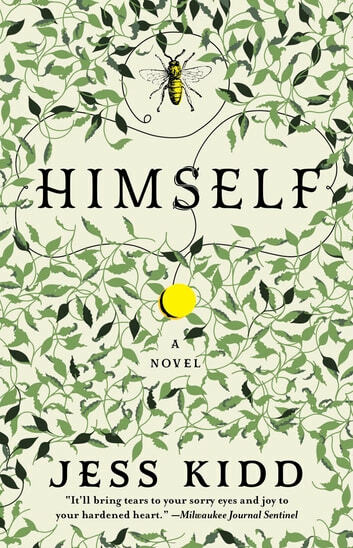 The novel is absolutely hilarious one moment and horribly terrifying the next. I will definitely be reading everything Jess Kidd writes and re-reading this novel too in order to catch clues that I may have missed through the first reading. This is a brilliant novel and a debut novel to boot. Brava. Would make a great movie. I could visualize the characters including the ghosts. I like the quirky ones.